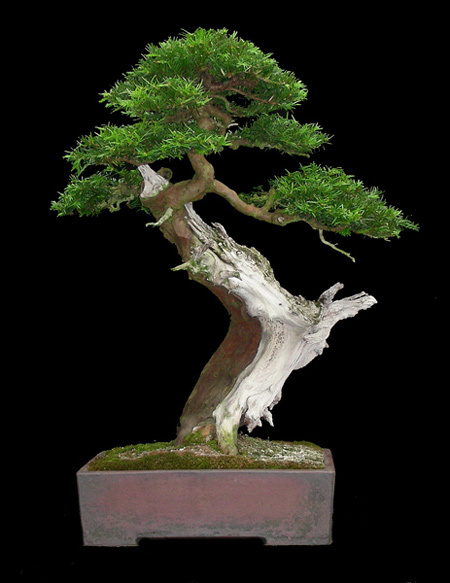 EDA>TACHI EDA - Branches (called "tachi eda") growing straight up should be removed from your BONSAI>BONSAI tree. (Send Image) TAKE (BUDDING) - The successful out come of budding. GRAFTs "take" whereas CUTTINGs "STRIKE". Tako ZUKURI - Termed the "OCTOPUS Style" in the West because of its exagerated twists and turns in both trunk and branch often accompanied by contorted, well-exposed root. The overall effect of the style should be to make the tree should look like a scary, monster tree from a fairy tale. 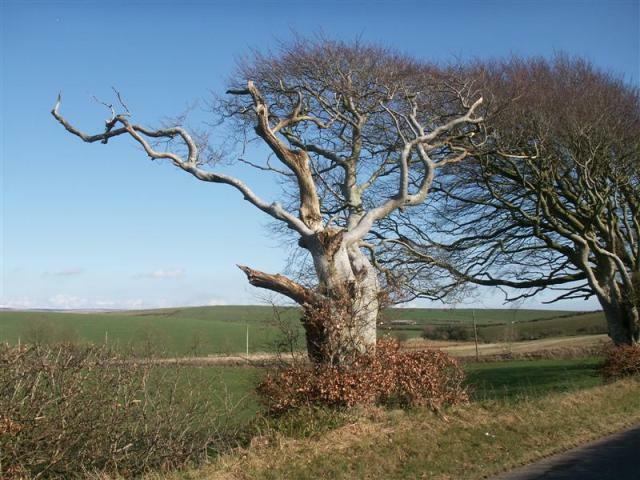 The photo on the left is from a naturally contorted beech in the south west of Scotland. 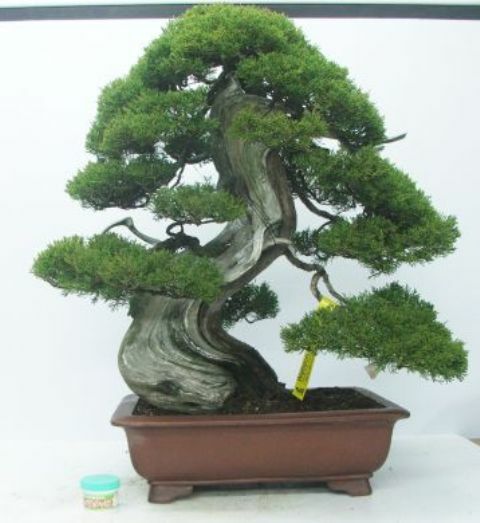 (Send Image) TAN GEI - Generic Japanese term to denote BONSAI>BONSAI material. (Send Image) TANKAN - Single trunk tree so termed in the classification by number of trunks on a single set of results. TANUKI - In Japanese folklore, tanuki is a Japanese raccoon dog, noted as a SHAPE-changing trickster. A tanuki BONSAI>BONSAI, is where a living tree is joined to a piece of DEADWOOD to create a composite in the driftwood style. It is not genuine driftwood-style which are very rare. The tanuki process enables the creation of a driftwood-style product from more commonly available materials. The technique involves adding living material (often juniper) to a section of deadwood via a groove in the deadwood. It is fixed using screws, wire wrappings, or CLAMPS. Over time, the young tree grows into the deadwood channel, fusing with teh deadwood. Once matured the fixings are removed. 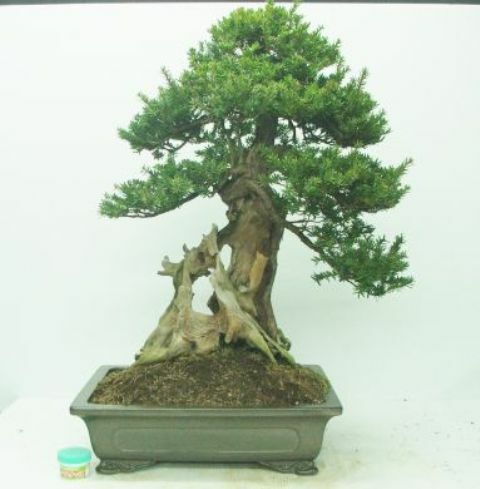 The picture shown is a Tanuki Juniper, courtesy of WATTSTON BONSAI. TAPE - SELF AMALGAMATING - Used instead of, and sometimes together with, rafia when bending branches. This rubber tape is slightly tacky and sticks to itself when stretched around branches. The tape is really flexible and will stretch to more than five times its original length. Self amalgamating tape is also useful for joining together a branch which has been broken say during the WIRING process and will hold the parts of the branch exactly in place while the tree heals itself. The tape which can be left on the branch and will deteriorate over a few years by which time the branch is repaired. (Send Image) TAPER - The gradual lessening of the thickness of the trunk or branches towards their extremeties. The general guideline in BONSAI>BONSAI is that tapering should be relatively uniform and that INVERSE TAPER should be avoided. 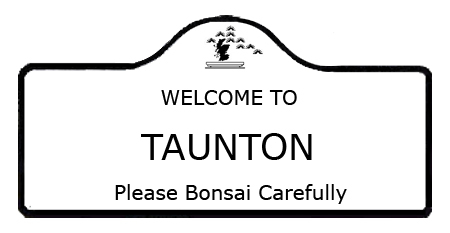 BONSAI>BONSAICLUB>TAUNTON & SOMERSET BONSAI CLUB - Meets on the second Wednesday of each month at 7.15pm. 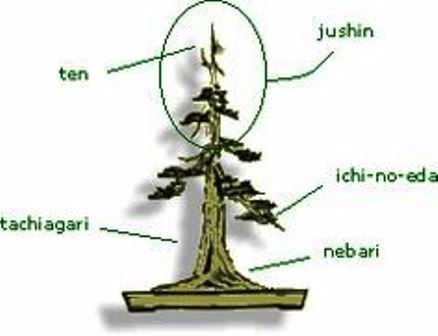 APEX)>TEN (APEX) - Alternative Japanese term describing the apex of a tree. See also " Shin "
Development of several trees from a number of SPECIES, with some fascinating horticultural and practical details.